Our attorneys are investigating claims that victims of identity theft are being unfairly denied housing, employment, and credit because of inaccurate information on their credit reports, in direct violation of the Fair Credit Reporting Act (FCRA). If you are the victim of identity theft and see it reflected in your credit score, or if you have been denied housing, employment, or credit because of a mistake on your credit report, our attorneys would like to hear from you. We may be able to clear your credit report of harmful, inaccurate information caused by identity theft or inaccurate reporting and recover compensation for your financial losses, loss of job opportunities, or other damages. Fill out our free, no-risk case review form today. The Fair Credit Reporting Act, which passed in 1970, protects consumers by promoting the accuracy, fairness, and privacy of information in the files of credit reporting agencies, according to the U.S. Federal Trade Commission. The right to seek damages from violators of the FCRA. An amendment of the FCRA in 2003 allows consumers to request a free copy of their credit report from each of the three major credit reporting agency once a year, so they are able to check for inaccurate information regularly. 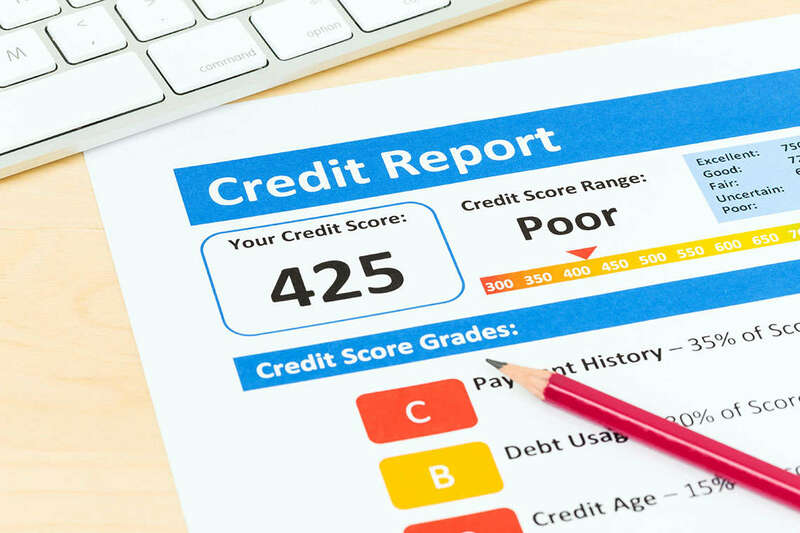 Unfortunately, although consumers are now able to discover mistakes on their credit and credit reports more easily these days, it’s still difficult to get this information removed from their record, as bureaus are notoriously unhelpful when it comes to investigating and correcting credit report errors. In fact, at least one in five consumers have an error on their credit report, according to a 2013 study by the FTC. If left uncorrected, these errors can have a truly detrimental impact on a person’s finances and ability to find a new job or home. In most instances of identity theft, a hacker will open new accounts or credit cards in your name, making fraudulent purchases and leaving you with massive credit card debt. These unpaid bills can devastate your credit score for a very long time. At least one in five consumers have an error on their credit report, according to a 2013 study by the FTC. A good credit score isn’t just important for getting a credit card or car loan. That three-digit number can determine everything from your mortgage rate and approval to whether a landlord decides to rent to you. Your credit score can even determine whether a prospective employer is willing to hire you. As a result, identity theft victims can be wrongly denied housing or employment based on inaccurate information on their credit report, such as credit information from an account that was flagged for identity theft. This means that consumers can lose out on their dream job or house, all because they were the unfortunate victim of identity theft and that mistake on their credit report went unresolved. In the adverse action, the employer must explain that the candidate was not hired based on the information in the credit report, provide the information of the company that sold the report, and give the candidate the opportunity to dispute the accuracy of the report within a certain period of time. This all must be done before the employer can officially reject a candidate. However, many employers fail to do this. Instead, upon receiving a negative credit report, they may simply move onto the next candidate. If your credit report contains an error due to previous identity theft or any other inaccurate information, this could repeatedly cost you a job, and you may not even be aware of it. That’s why it is so important for credit reports to reflect accurate information. If the FCRA promotes maximum possible accuracy of credit report files, why is it so difficult to have errors removed from these reports? It all has to do with how Experian, TransUnion, and Equifax process credit report disputes. When you dispute incorrect information on your credit report, the credit reporting agencies are supposed to conduct an investigation, as required by the FCRA. If the information is discovered to be incorrect, it must be deleted within 30 days, according to the FTC. However, the credit bureaus fail to conduct these thorough investigation. Instead, they rely on information from lenders to quickly confirm or deny the information on your report. The result? Bureaus will repeatedly confirm mistaken information on your credit report as “correct,” wasting your time and leaving you no choice but to dispute the claim over and over again to try and clear your name. Fortunately, victims of identity theft with mistakes on their credit report do have another option: an attorney. Has your credit score suffered because you were the victim of identity theft? Have you been unfairly denied housing, employment, or credit because of a mistake on your credit report? If so, our FCRA attorneys may be able to help you. Often when renting a home, the lessor will run a background check on the applicant. If inaccurate information is found, it is likely that you could be denied the opportunity to live in the property. Fill out our free, no-risk case review form to learn more about what an attorney can do for you today.